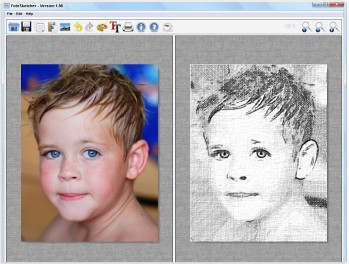 FotoSketcher converts your digital images into pencil sketches, pen and ink drawings or various painting styles (watercolor, oil painting etc.). Just load the photo, select the desired sketch style and the program will instantly apply the effect. You can tweak various drawing parameters to simulate different drawing styles, add a photo frame or text, and save the digital sketch as new image without changing your original photo.In addition to sketch and paint conversions, Fotosketcher can also apply vintage photo and sepia effects.